Beware of the “Beautiful Teeth Whitening Kit” – not approved by HSA and it causes teeth pain/bleeding gum problems! 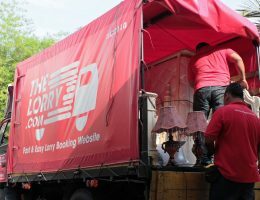 This is a reader-contributed article – contributor requests to remain anonymous. “Hi there, I would like to submit in a piece of article regarding the latest beautiful teeth whitening kit. 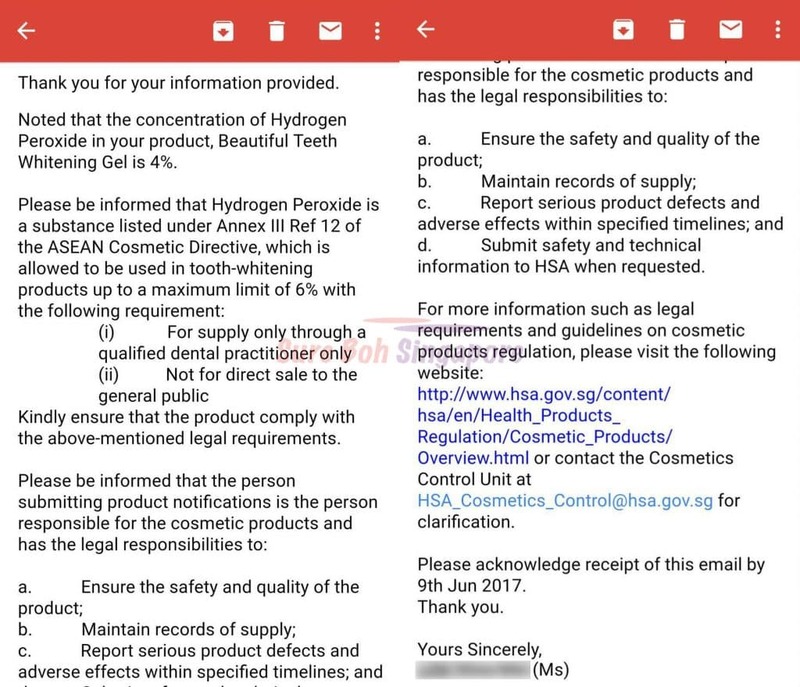 I have the HSA email which states that it is not legal for general sale as the chemical level is too high and also screenshots of Singapore’s distributors disregarding the well-being of their customers and just wanting to make more money. 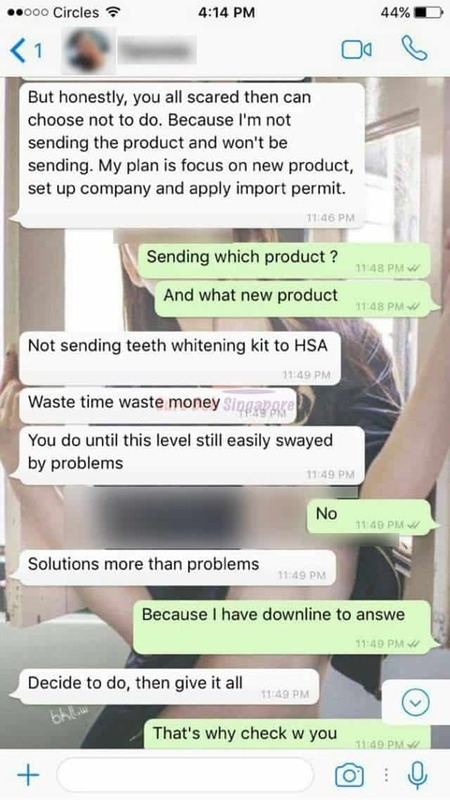 I wanted to take supply to sell these beautiful kit and as a result got myself into some drama with the Singapore’s beautiful teeth whitening kit distributor. But afterwards I went on to find the beautiful kits supplier in china and asked them for some of their lab test certs as I would need to do some checks if it is actually legal to retail in Singapore, turns out HSA said it is not legal and these girls are retailing them like hot cakes. Not to target anyone but maybe if you guys would like to post up on the legal issues of this product and how it could be dangerous to people who are allergic to it’s reactions? 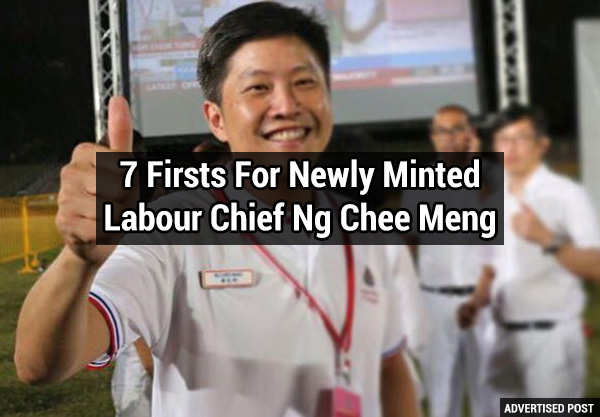 This item is currently available on qoo10.sg. 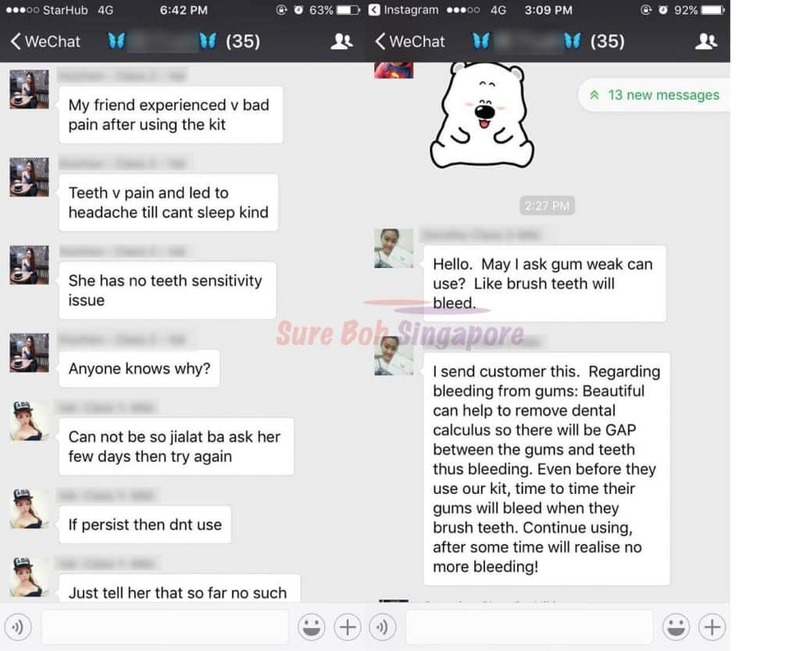 However, Sure Boh Singapore advises readers to consult the dentist before using in case it causes any allergic reactions or worsens teeth condition. An adventurer who likes to try new things all the time. Bungee jumping excluded. Next Next post: Wah lau…How can Changi Airport put the flag up the wrong way?? ?